Last week was a week of celebration for you all – we hope that you survived the celebrations and are feeling truly ready for the next stage in your lives. With the end of the year fast approaching, everybody is turning their thoughts to what next year will bring – whether it be new friends, a new school, university or a new job…why not make it all about a newer more confident and fresh-faced you? New Year is renowned for being about fresh starts, resolutions and time to set yourself challenges. How about going into these challenges feeling as confident as you can in your own skin? If you’ve been thinking about tacking your problem skin, then now is as good a time as any. Give Proactiv a go (if you haven’t already) and you can be on your way to clear skin confidence sooner than you think! We recommend our Proactiv+ Deluxe Kit for the ultimate solution to an overall clear and radiant complexion. It includes the core advanced Proactiv+ 3 Step Kit plus our customer favourite, the Mark Fading Pads to help even out redness and brighten up dull skin as well as the Eye Brightening Serum to help nourish and brighten the delicate eye area. It’s the skin-loving, blemish-fighting solution you will love. 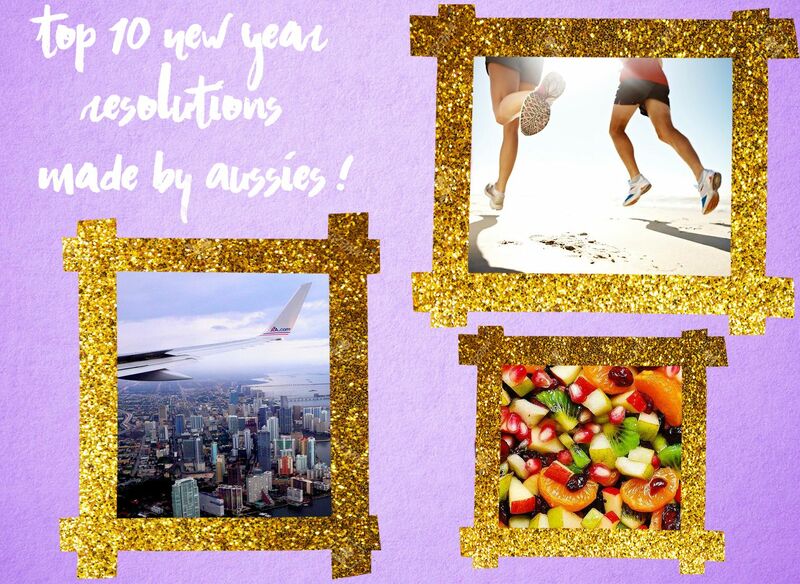 Just out of interest though, what are the top 10 resolutions made by Australians on December 31st ? 1. Get Fit – We know from numerous articles in the media and from how exercise makes us feel that improving your level of fitness also improves your mood and mentality. It reduces the risk of some cancers too and keeps you in shape. 2. Eat Better – It is easier than you think to enjoy a healthier diet. Cut out having as many snacks and instead snack on healthy fruit and vegetables. You are guaranteed to feel so much better. 3. Learn something new – learning a new skill is a great way to challenge your mind and keep your brain active. It will also add a different dimension to your life. 4. Travel more – there’s a big world out there. Get out there and see some of it. Whether it be a relaxing beach holiday or sightseeing, travelling is a great release and a great adventure. 5. Volunteer – Helping others is a selfless resolution. You could head overseas to volunteer to help disadvantaged kids in your own area. There are lots of organisations that could make it happen for you and make it fit into your busy schedule too. 6. Meet someone – It doesn’t have to be a new partner, it could be a new best friend – someone to introduce you to new activities, place and people. 7. Sleep More – As our earlier blog mentioned, sleep is vital for our general health and well-being. Make sure that you are getting plenty. 8. Get out of Debt – The average debt per credit card holder in Australia is $4,461.33 which at an interest rate of 15%-20% is $800 in interest – think of what else you could be using that money for. It could go towards an overseas trip! 9. Can we add a resolution about self-love / body image / confidence?? Whatever the resolution you decide, we wish you luck and strength! Resolutions can be difficult to stick to and often people give in too soon. We suggest partnering up with your bestie or someone that can motivate and support you – and vice versa! Two heads are better than one… and more fun! Come back again next week when we will be looking at last-minute tips for the Christmas Party or, if you have already had your early then it’s a look at tips for the party season in general.